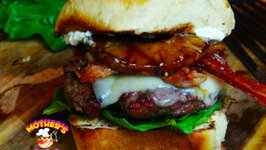 On this video I take freshly made Hawaiian Sweet buns and create an Aloha Burger with a teriyaki glaze. Enjoy. I came across this recipe from Seriouseats.com and thought I had to try it. Plus I had a can of Spam in the cupboard that I had no idea what to do with. 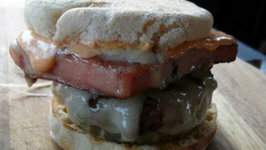 A wild twist on Hawaiian comfort food. 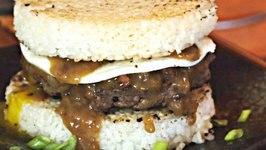 I've transformed Loco Moco into an actual hamburger, with a rice bun! 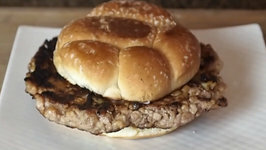 Quick and easy recipe for a pork burger, with a little island flare! 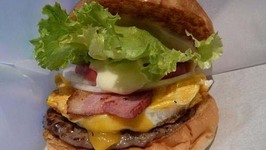 Aloha Burgers is a simple and delicious snack recipe which cannot just escape your guest's attention in any party. Why dont you give it a try and let me know the experience.